Due to popular demand we have decided to spell out some of the important rules for the meetup. 1.) All members must have a completed profile with a clear, recent photo and profile information. No exceptions. You will be removed if you do not follow this rule. 2.) RSVP "YES" only when you’re 100% sure you can attend. 3.) For events that have a specific start time such as dinners, movies, trips, etc, do not show up late. 4.) If you have to un-RSVP, please do so a minimum of 24 hours before the events start time. Un-RSVPing less than 24 hours from an event will count as a “No Show” unless you message us about it (either on the event wall or to the event Organizer) why you can no longer make it. 6.) Attendance at events is agreement to being photographed, photos may be removed by contacting the organizer. 7.) disrespectful and disorderly conduct may be cause for removal from an event and/or the group. 8.) Please note that if you attend a multi-day / night trip with Free Association, you are technically at one of our events during the duration of the trip and the rules stated here apply until you are no longer participating in the trip. 10.) Harassment, or being too aggressive towards other members will not be tolerated. If it is perceived that you are being too aggressive you will be asked to leave the group. Let's keep the atmosphere fun for everyone. 11.) While dating is allowed in the group, keep in mind that people come to our events with different motivations, like for example, just making friends. Please be respectful of this and understand that if someone does not seem “interested” please be respectful of their wishes. 1.) Must attend monthly planning meetings and bring event ideas. Missing more than two planning meetings in a row is grounds for removal of being an organizer unless an acceptable reason is given for missing the meetings. 2.) 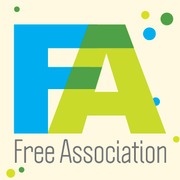 Must attend at least one free association event a month unless an acceptable reason is given. 3.) Must show up prepared and on time for the events they have planned and are hosting. If you can no longer make it to your event, you must find a replacement host or cancel your event a minimum of 24 hours before your event is to be held. 4.) Must stay for the entire event that they are hosting unless a valid reason is given. 5.) Must display a high degree of integrity and openness to our members. Any negative behaviour towards members will not be tolerated and will be grounds for the immediate removal of organizers status. 6.) Must have either Eric and / or Leslie review and approve events before they are added to the Free Association Meetup or Facebook page.